Imagine pulling all nighters as a college freshman, cramming for finals. Wholesome, healthy eating may not be a priority. Simple sustenance in the form of cookies sounds perfect and for two young teens it was an inspiring idea that led to a sweet business deal. Alex Evans-Pfeiffer & Barak Federman were on to something when they decided that a “u buy u give” model was the way they wanted to go. It has not only allowed them to eat all the delicious cookies they want but has also incorporated all those years of volunteering experience into a sustainable business model that actively contributes to the global spread of big smiles from kids everywhere. 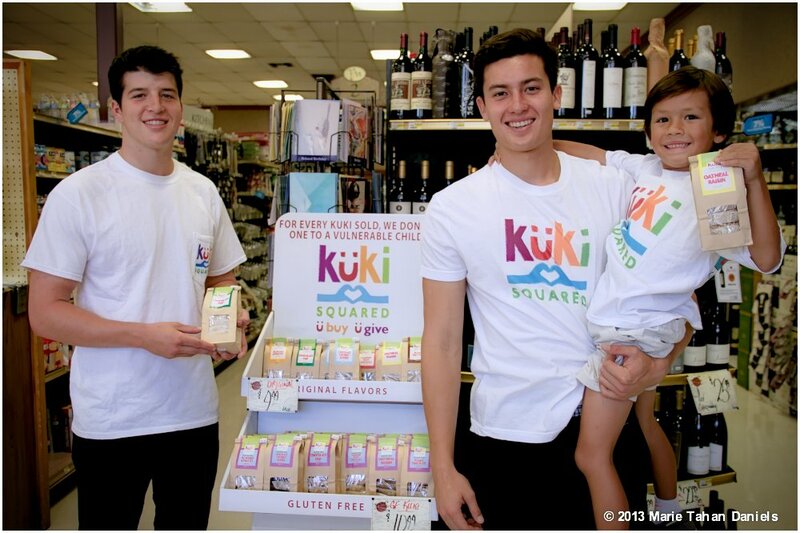 Their Kuki Squared cookies have shown up in the most surprising places from the Academy Awards Gifting Suites to the outskirts of Mexico, Cambodia & Lesotho! These tasty treats are more like a brownie consistency and are the perfect size to be enjoyed with a cold glass of milk (in our humble opinion). Even better… They are all natural & gluten-free! 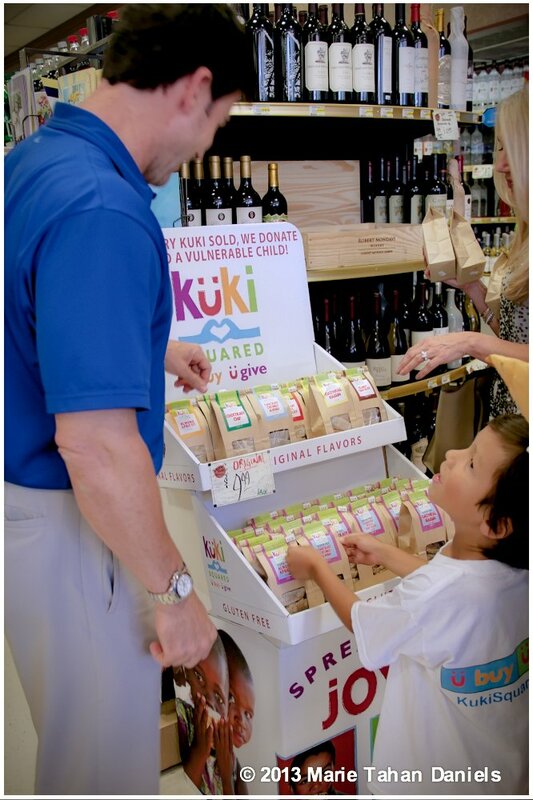 You can get them online and NOW at the Stump’s Village Market in Rancho Santa Fe. More retail locations to come soon! Anyone for some Figgy Pudding?